The #1 bestselling author of Once Upon a More Enlightened Time reads his Politically Correct holiday gift. Holiday tales have long delighted and entertained us, but until now they've always been burdened with society's skewed values and mores. 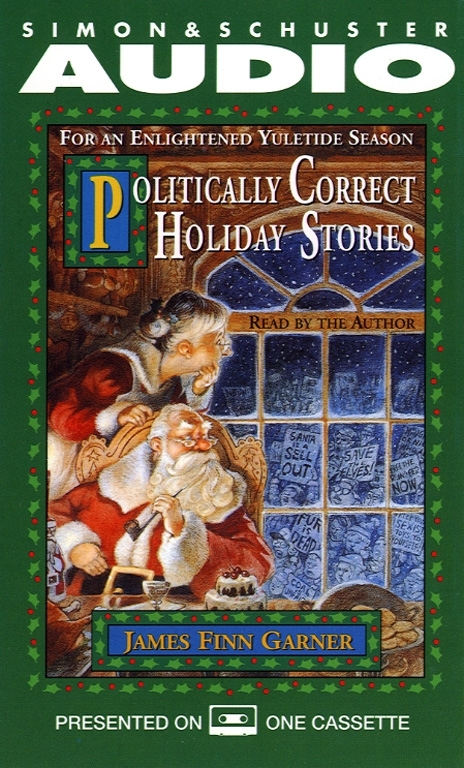 Stories that reinforce the stifling class system (Dickens' A Christmas Carol), legitimize the stereotype of a merry, overweight patriarchal oppressor (Santa Claus in The Night Before Christmas) and justify the domestication and subjugation of wild animals (Rudolph the Red Nosed Reindeer) abound in the literature and lore of this season. Now James Finn Garner has stepped in to revise and improve these familiar tales to free our social consciousness from the ghost of prejudice past. From the newly revised "Twas the Night Before Solstice" to "Rudolph the Nasally Empowered Reindeer," these stories rekindle the true holiday spirit and redefine the idea of "good will to all men" to include womyn, pre-adults and companion animals as well. Yes, the international bestselling author of Politically Correct Bedtime Stories and Once Upon a More Enlightened Time is back again, to offer a holiday gift that will fit all sizes, welcome all persuasions and nonpersuasions, and be treasured for politically correct generations to come.